NIA CHARLESTOWNN NEVIS (March 01, 2017) — The Nevis Housing and Land Development Corporation (NHLDC) hit a milestone of February 28, 2017, with the export of 3,000 tons of aggregate from the quarry at New River. The shipment left Long Point Port on a barge later in the day bound for St. Maarten. Minister responsible for Natural Resources in the NIA Hon. Alexis Jeffers, who is also the Chairman of the NHLDC Board of Directors, hailed the accomplishment as a historic one for Nevis. 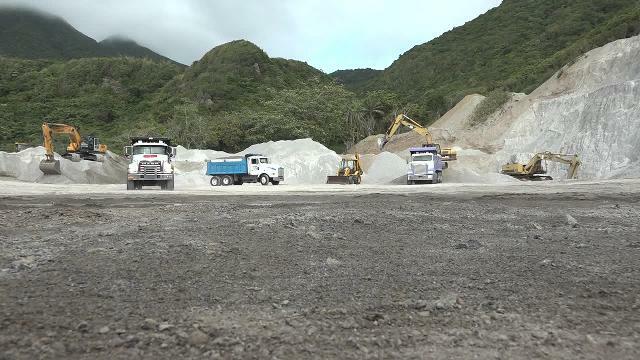 “It’s the first order we have gotten since we procured the crusher and screen and also the front end loader and excavator, back in November through the loan that we would have gotten from the St. Christopher and Nevis Social Security Board,” he said. The Minister used the opportunity to commend the four equipment operators at the quarry for their diligent work and expressed satisfaction they were able to meet the target. Meantime, Mr. Jeffers believes that the export would have a ripple effect on the economy of Nevis. 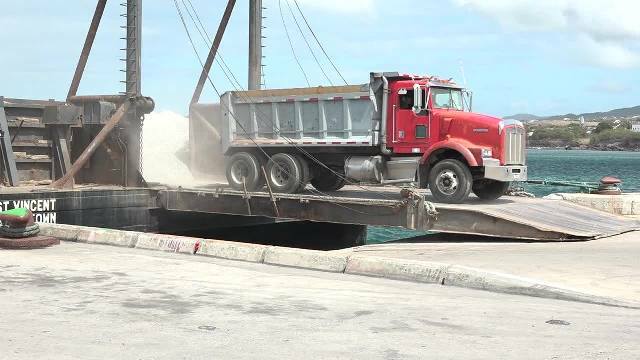 He said the corporation had engaged the services of 15 local truckers to transport the aggregate from New River to the Long Point Port. “The commercial activity that is created from this little business today, is certainly huge for the island of Nevis. “You have to purchase fuel, truckers have to buy tyres, they have to buy lubricants and of course, the truckers have to pay themselves and their Social Security deductions. So it means that this commercial activity has a lot of spin off that is going to ripple through the economy. Of course, the port would collect some fees today,” he said. The minister expressed hope that the first shipment is the start of good things to come for Nevis. 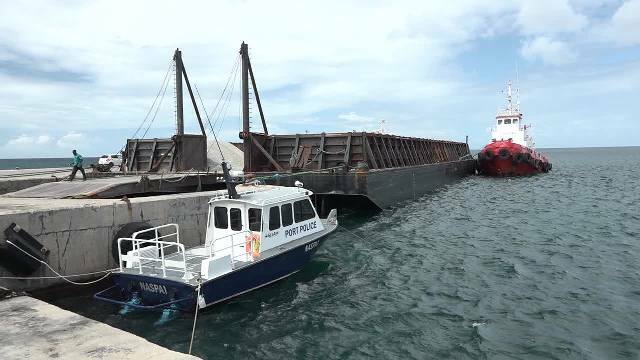 He said the second shipment is expected to be ready for shipping to St. Maarten in two months time. However, Mr. Jeffers calmed fears that the quarry would be unable to satisfy the local demand at the same time. He said it is a continuous process and they continue to sell material to the local market. The Minister also said the first shipment is symbolic of what is possible at the quarry. The NIA assumed responsibility for the mine in 2013 and after some challenges, purchased a number of pieces of equipment. He said although they have been able to produce material in the past, the recent purchase of new equipment, has brought production to another level. 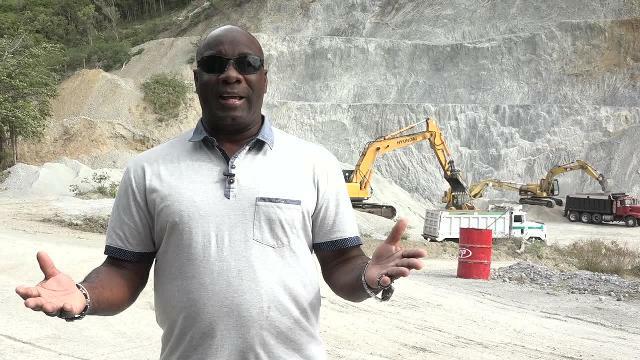 Mr. Jeffers believes that the production at the quarry is sustainable and all will be done to ensure that a return is realised on the investment there.